The attitude of your employees is as critical to the success of your business as the quality of your products. Positive employee morale promotes a better working environment, increases customer loyalty, and is repeatedly ranked as the most desirable trait by employers nationwide. The “Can-Do” Attitude employee personality test was developed as a simple and accurate way to identify valuable employees who will go the extra mile at work - with smiles on their faces. 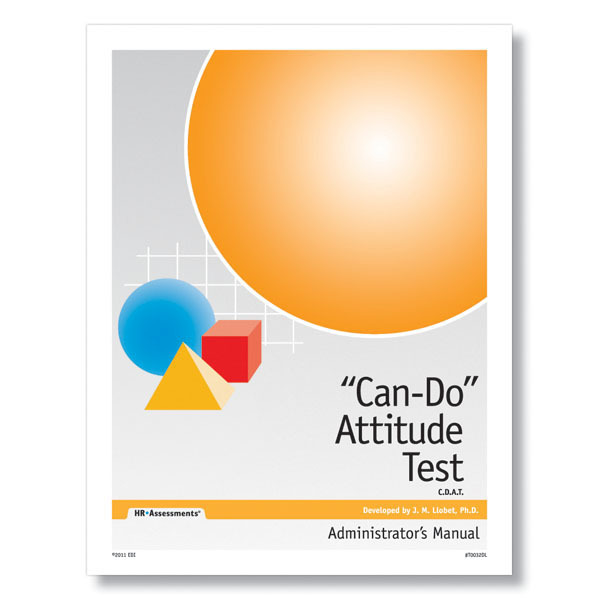 "Can-Do" Attitude employee personality test is ideal for any position that requires a confident, optimistic approach that will be shown by in the quality of work. Online tests are loaded at the end of the next business day. If you need your online test order expedited sooner call 800-999-9111.